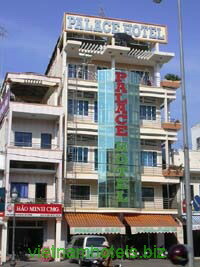 Palace hotel is located in the center of RachGia Town, near RachGia market. Rach Gia town is the economic-political-commercial-cultural canter of KienGiang Province and Mekong delta province. Rach Gia Town is situated adjacent to the western sea which is currently built with sea-invading projects. Tourists coming to Rach Gia may easily access to Ha Tien following the land route approximately 90 km and sailing to Phu Quoc island by the water way taken approx. 7hours and by the airlines approx.35 minutes in reaching Phu Quoc island. 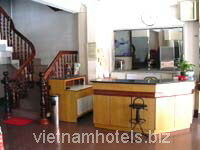 Kien Giang with its very attractive touristic potentials which are inviting tourists to come for visiting and travelling. 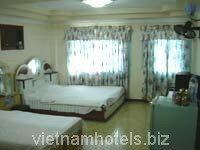 Air-con , fan, satellite , IDD phone and privated bathroom with hot shower. 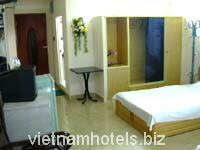 All rates included breafast, goverment tax and service charges. Spacious and safe parking place.